Background: Voluntary Counseling and Testing (VCT) is an integral component of HIV prevention and care strategies worldwide. Attitude of young people towards HIV testing in Techiman Municipality has negative outcome of testing uptake; leading to missed opportunities among this group. Previous studies have confirmed that factors that influence such attitudes include counselors’ attitude, level of awareness, perception about people living with HIV/AIDS and respondent’s socio-demographics such as age, gender, study level and location of residents. Objective: To determine the factors affecting the willingness of people to be tested for HIV among young people in rural Ghana. • Setting: Government owned Senior High Schools of Techiman North district. • Participants: Students in Senior High Schools (15-24 years) were included. • Response rate: Response rate of 386 (76.1%). Results: Analysis showed that the prevalence of use of HCT services was the difference between socio-demographic characteristics, knowledge about HTC centre for testing, knowledge of HIV status and ever visited any HCT centre. Logistic regression analysis showed that variables significantly related with the use of HCT services by providers in Techiman district were perception, attitude and no desire for testing. The results may help health providers to plan for young people’s desires for HCT services in Techiman Municipality and Ghana as a whole. Future research should address behaviour change of the young people for testing. 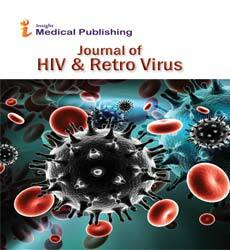 Methodology: Self-administered questionnaire was used to assess the factors that affect HIV testing among the representative sample of 386 young students selected by stratified random sampling from September to October, 2015. Conclusions: Participants desire for HIV testing is influenced by knowledge about HIV and own health status, Visit to HCT centre and knowledge about the HCT Centre.